Israel once again criticized for an attack on a United Nations school in Gaza. Israel was once again criticized on Sunday for an attack on a United Nations school in Gaza, which the United States said was “disgraceful”. According to the AFP news agency, in one of the most strongly-worded statements yet from Washington since the conflict began nearly a month ago, State Department spokeswoman Jen Psaki said the United States was "appalled" by the attack on the school in Rafiah. At least 10 people were killed in the shelling, the third time in 10 days that a UN school has been hit in fighting. "The United States is appalled by today's disgraceful shelling outside an UNRWA school in Rafah sheltering some 3,000 displaced persons, in which at least 10 more Palestinian civilians were tragically killed," Psaki said in a statement quoted by AFP. "We once again stress that Israel must do more to meet its own standards and avoid civilian casualties." She noted that the United Nations had "repeatedly" communicated to the Israeli Defense Forces the coordinates of the school and the world body's other facilities. The IDF confirmed it had fired on a target "in the vicinity" of the school. "The IDF targeted three PIJ (Islamic Jihad) terrorists on board a motorcycle in the vicinity of an UNRWA school in Rafiah," an army statement quoted by AFP said. "The IDF is reviewing the consequences of this strike," the statement added. 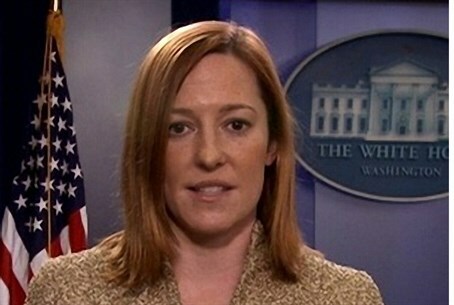 Psaki's statement, however, said the presence of terrorists near the facility could not excuse the attack. "The suspicion that militants are operating nearby does not justify strikes that put at risk the lives of so many innocent civilians," she said. "We call for a full and prompt investigation of this incident as well as the recent shelling of other UNRWA schools," she added. UN Secretary-General Ban Ki-moon also decried the shelling as "a moral outrage and a criminal act." "This madness must stop," Ban said through his spokesman, decrying what he termed "yet another gross violation of international humanitarian law." "This attack, along with other breaches of international law, must be swiftly investigated and those responsible held accountable. It is a moral outrage and a criminal act," he charged. This is the second time in less than a week that Israel has been condemned for the shelling of an UNRWA school being used as a shelter in Gaza. The United States later said there was little doubt Israeli artillery was the source of the "totally indefensible" strike on the UN school, urging Israel “do more” to ensure the safety of innocent civilians. Hamas has also been using UNRWA schools as storage sites for its rockets. Last week, a third such stockpile was discovered in a UN school.